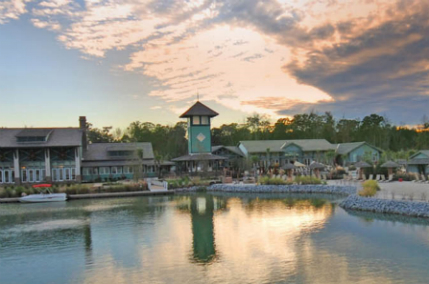 Hampton Lake offers a casual, relaxed way of life centered around a 165-acre freshwater fishing and boating lake with incredible resort-like amenities for the whole family to enjoy. Hampton Lake is a productive freshwater complex with a central basin, creeks, coves, and 15 miles of shoreline. Enjoy leisure trails and boardwalks through the 340-acre Hampton Preserve, a permanently protected forest.